Make it pop! DIY accessories – Go ask Alisa – DIY capsule wardrobe one stitch at a time! Creating a look is not only about sewing clothing, everything counts when you’re making your vision come true: those shoes, those accessories and that make-up. I should admit that I don’t know much about make-up, although I love working with colors and canvas, but I have never done make-up for anyone else but myself; about shoes I wrote so many things in the past and you can clearly sense ma fashion fetish towards a good pair of shoes. This time we will speak about accessories and making your look pop! I love both – store-bought and DIY accessories, if both are executed well – I will take either one. Sometimes it is easier to go DIY route just because the color match is so significant and so rarely achieved to a perfection when you buy separates. Besides, you don’t need much to make a cute little dangle-brooch like this one. 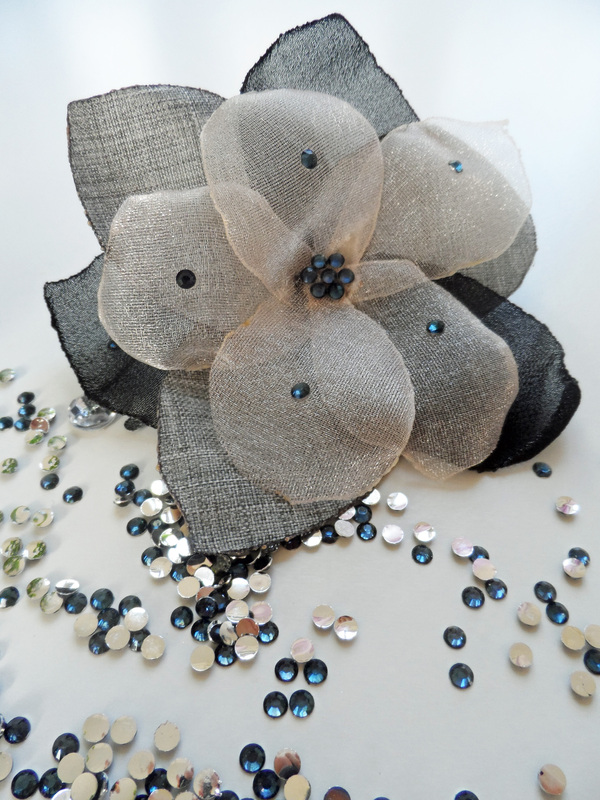 You will need: one pin with one side flat so you can fasten the bow to it, ribbon or over-locked chiffon strip, golden chain, fabric petals and one pearl bead. The budget for this craft project is probably way under $1.50, but it still looks stylish and quite expensive. I love love love this idea! I have been collecting some fabric scraps for a while now in hopes of getting around to making some hair bows like the one in the first picture. When I was in high school I used to use satin ribbon and larger bobby pins to make hair bows, but I don’t like them so much anymore! I think the very first pale pink chiffon bow would look great in to do a half up/half down hairstyle! Previous Previous post: One week – one pattern! Sewing and creating. Next Next post: Dreamy… weekly photo challenge.